Lots of textbooks, not much choice. But the lack of choice in America’s education system is not unique to one policy. It’s an institutional problem that requires broader reforms than the repeal of a single law. Across the board, choice is sacrificed for uniformity thanks to misguided government policy. One of the areas that receives too little attention is the textbook monopoly by publishing giant Pearson. This is an important issue for parents concerned specifically with the content and curriculum of their children’s educations, since the textbooks schools purchase will largely determine what is taught. For those worried about the kinds of values children are being exposed to, confronting a lack of choice in textbooks should be a top priority. 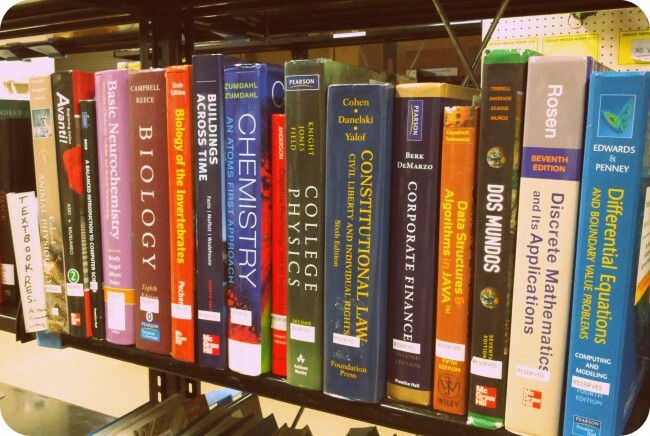 Politico recently published an expose on Pearson, revealing the numerous ways that government conspires to limit competition in the textbook market. To begin with, state education departments frequently purchase their materials from Pearson without allowing competitors the opportunity to underbid them. Since public schools are funded by taxation, not happy customers, there is no incentive to purchase cheaper books or ones that would please the students more, so familiarity wins out. This would be bad enough were it not also for the fact that the education standards necessary for states to receive federal funding. The Common Core standards were developed in alignment with the curricula used by Pearson. This means that school administrators wishing to comply with the standards have few options other than Pearson’s products to ensure that they will maintain their federal funding or waivers from the unpopular No Child Left Behind policy. Pearson’s business practices have been marked by political corruption as well, with lobbyists from the company spending lavishly (and illegally) on school officials until the practice was reined in in 2013. The unholy alliance between business and government is at the heart of a great many of our nation’s problems, not least the inflexibility of our education system. Federal funding mandates, Common Core standards at the state level, a lack of competitive bidding for materials, and few mechanisms for students to escape from failing schools all work together to damage educational outcomes and our children’s opportunities for the future. We need to sever the ties between federal funding and state education policy, as well as promote more school choice at the local level. Only this will help break up the textbook monopoly and give parents more control over what their children are learning.